Three pieces during the same evening. All in different locations of a theatre space. 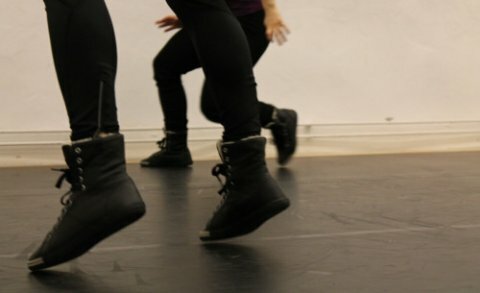 They will present, re-produce, transform, and repeat a variety of choreographic materials and frameworks, to give examples of dance in the process of becoming. Everything from sports, candy, cut of arms to city organs, the evening will be nothing like a oneness. By de-centering our bodies in different spaces, an attempt is made for a body/community yet to come. Sebastian Lingserius attended the master program in choreography at DOCH headed by Mårten Spångberg. Sebastian’s latest piece “alt.org” (2012) was created in collaboration with MDT, and before that he did pieces such as “Non-Phase” (2012) and “Third Phase” (2011) in collaboration with Weld. Recently his interest has been drawn to the construction of different body practices and their affectual relation to the observer. Ulrika Berg is working within the field of dance and choreography with Stockholm as her base. During the last yeas she has worked with among others Deborah Hay, Rasmus Ölme, Anna Koch, Kajsa Sandström, Kristine Slettevold and Mårten Spångberg. She is currently attending the master program New Performative Practices at DOCH where she takes an interest in the notion of practice, questions of gaze and the relation between thought, action and perception in dance and performance. Allison Ahl, dancer and performer, has freelanced within the field of dance and choreography since 2005. With a strong interest for performative practices regarding precense and awareness, movement and gesture. She has worked and collaborated with swedish and international choreographers in Stockholm, Paris, Malmö and London, and is more and more interested in attending work that seeks to produce rather then simply representing. Allison has worked with Sebastian in his previous pieces ”Tredje fasen” and ”ofas” at Weld in Stockholm in 2010 and 2011. 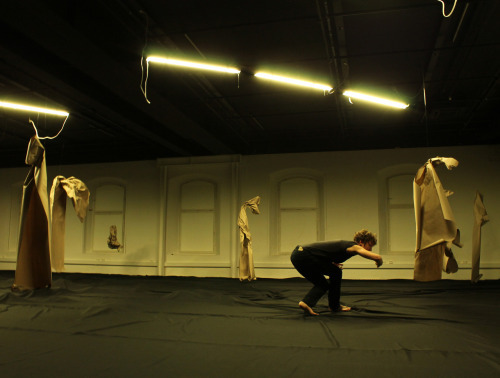 She has also an ongoing collaboration with swedish choreographer Björn Säfsten and will attend his next piece in 2013. Josefine Larson Olin works as a dancer as well as production partner with a speciality on choreography and text production. Josefine is currently attending the master programme for new performative practices at the University for Dance and Circus in Stockholm. Choreography: Sebastian Lingserius. Dancers: Ulrika Berg, Alison Ahl and Josefine Larson Olin. Light designer: Johan Sundén.